If you are in a constant need of a massage, you already know how expensive that can be. Therefore, investing in a best massage chair that will provide you massage anytime could be a suitable option. Instead of yous pending a large sum of money in massage salons, you may just have the same effect from the comfort of your own home. Many people think that owning a massage chair is an unnecessary luxury instead of a beneficial way to save your money. You can say now that 130$ for a massage is cheaper than 5000$ for a massage chair, for instance. However, if you take into consideration the whole year and look from a different kind of perspective, you’ll see that you’ll spend around 6000$ per year if you go only once in a week. The significant dissimilarity between these two is that you only buy a massage chair once. Price spread might be pretty substantial, and it depends on many factors. Nonetheless, you’ll invest only one time for a long-term massage deal from your home. You could find a massage chair that will fit into your budget in a no time. 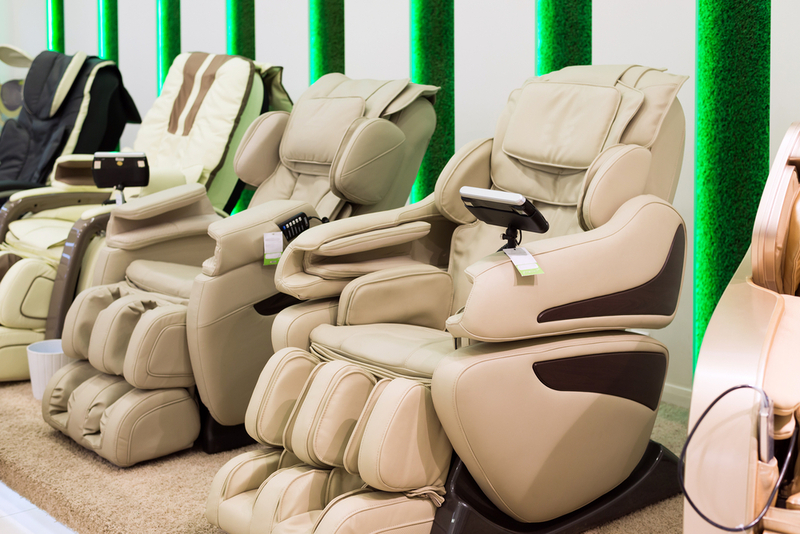 Should You Purchase Expensive Massage Chair? Like we said previously, the price of a massage chair depends on many factors. Some of them are quality, material, and features. The market nowadays offers you chairs from 500-10000$. They are all beneficial, but some have better components and features. A massage chair that costs around 1000$ can be feasible for people with back pain, that just need a vibrating massage. In general, those chairs feature a few of elements and provide basic techniques (for the most part). Furthermore, it doesn’t come with airbags that more expensive chairs offer. You can find only controls that are a replacement for a remote. No matter what type of a massage chair you pick, every one of them lives up to the expectations. There’s the difference if you compare the Dorel Living Padded Dual Massage chair and the Luraco Technologies iRobotics chair, of course. The most expensive models will give you the feeling like you’re being massaged by a professional. However, even if you go with a cheaper one, it will provide you a relaxing massage for an extended period. You can find a quality massage chair for a small price, but don’t expect from it to have the same features like the one that costs 2000$. After all, you’ll have to take into consideration your budget and start from there. When you decide to buy one, you’ll be able to enjoy a massage anytime, anywhere and for as much time as you want. The baseline for any chair should be its capability to relax you. Additionally, you can score a great deal during the holiday season; you may find a discount that will make a worthwhile investment. Many massage chair companies provide significant discounts during major holidays such as Thanksgiving, Black Friday or Christmas. Famous brands can run sales and deals that will provide you with quality products for less. Before you decide how much you are ready to spend for a massage chair, first you should get information what could you get for that amount of money. Since your budget is the most critical factor, you’ll have to find a balance between your needs and features of a massage chair. As we were able to see, a range of prices comes from the quality and features that a massage chair offers. You’ll be limited to only a few features if your budget is low and you can’t devote a significant amount of money to this investment. However, now that you gathered all the necessary information take a little time to think and decide. 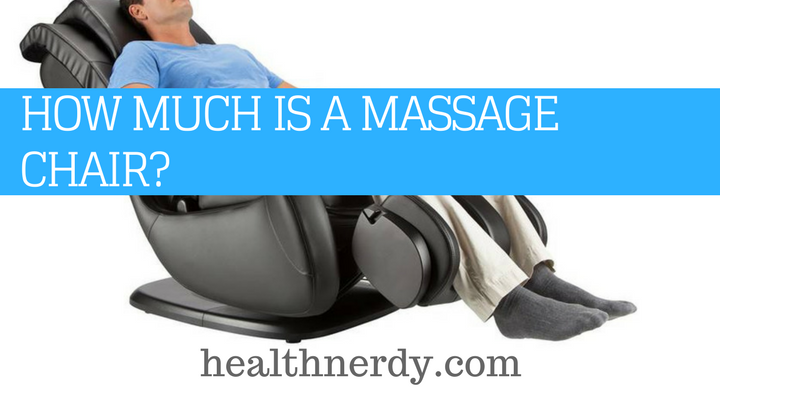 Take into consideration why you’re buying a massage chair. It’s not only crucial that you find a quality chair for a small price, but that it can meet your needs. Hence, make sure that you do significant research to find the perfect fit for you. Thankfully, there are many different massage chairs on the market, and you should not have any difficulties in finding the right one.